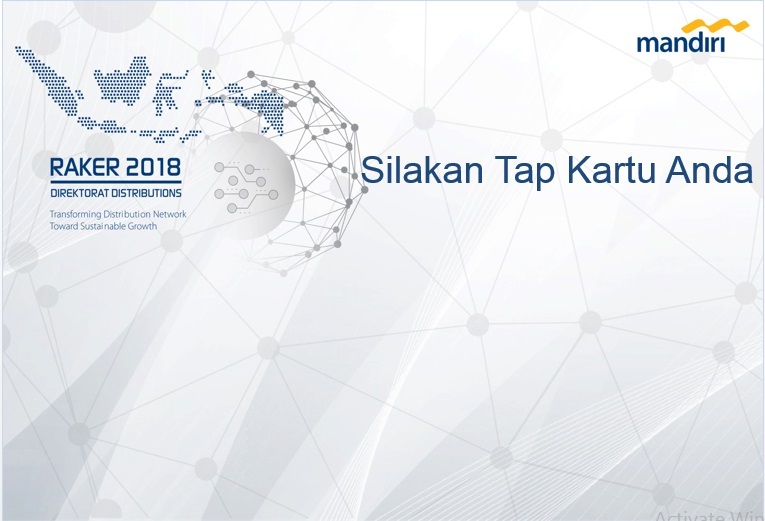 As part of their yearly activities, the various directorates at Bank Mandiri usually hold an annual work meeting, For this year’s Distributions Directorate meeting held on February 12th, 2018 at Menara Mandiri, Senayan, Jakarta, Wooz.in supported the work meeting for ID issuance, participant attendance and seating arrangements. 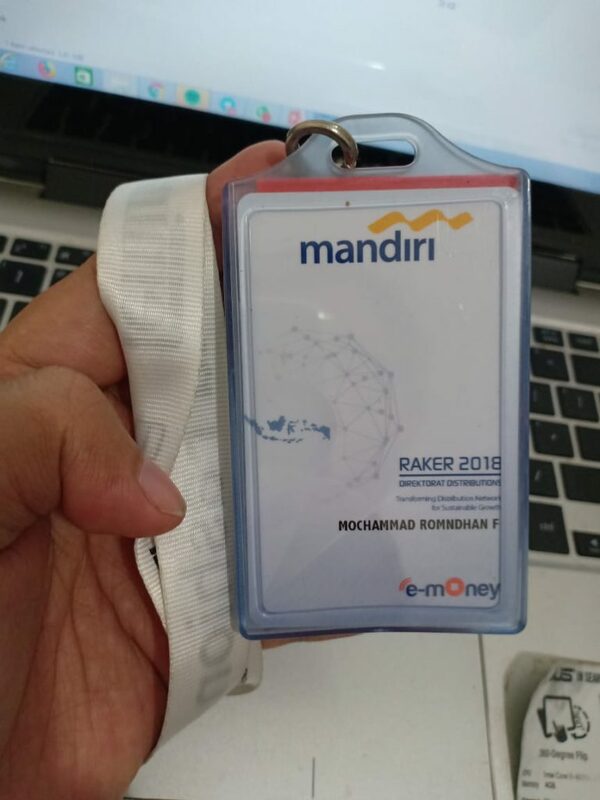 We first coordinated with the work meeting’s committee for the list of attendees, and production of specially made Bank Mandiri e-money RFID cash cards printed for the event. At the event registration desk, Wooz.in prepared the registration laptops and PVC card printers, and trained the reception team on how to use the system. Also, at the ballroom entrances, we provided RFID readers attached to a large LCD screen. 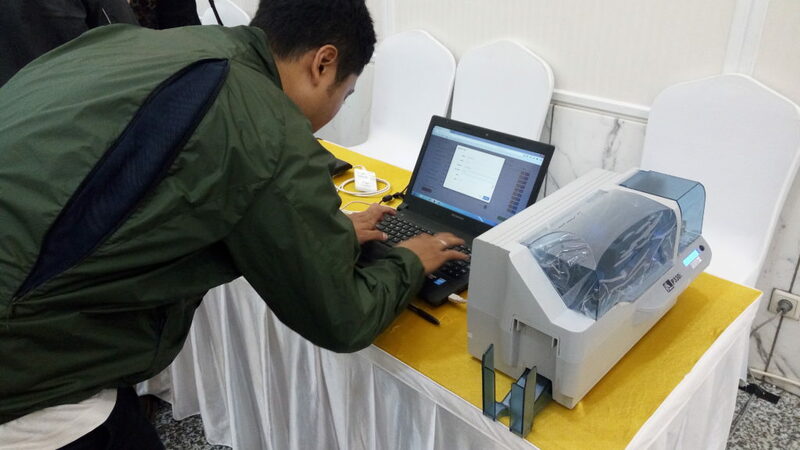 The registration of attendees was designed to be super easy and quick, just by checking their names on the system. 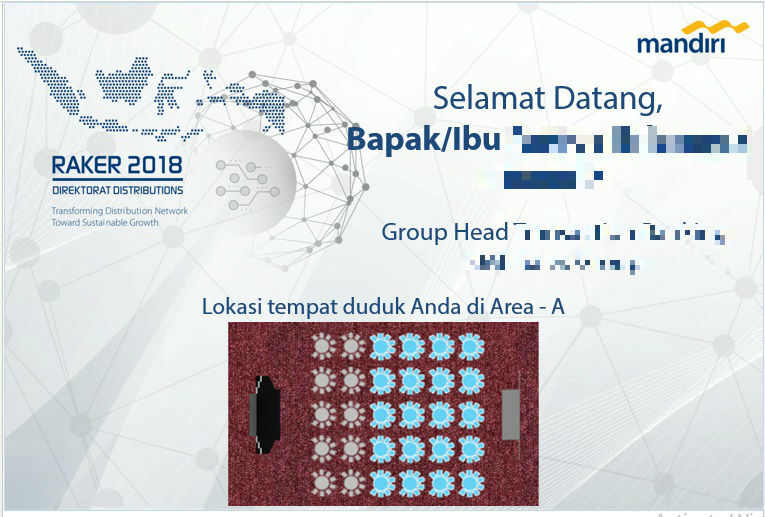 Once the name is confirmed (based on the data provided from the committee), the system will print the attendee’s name on the provided e-money card. This digital-based registration system takes a lot of hassle away from the reception team, as they do not need to check data and compile reports manually. The system provides reports on invitees and attendees quickly, concise and in realtime. 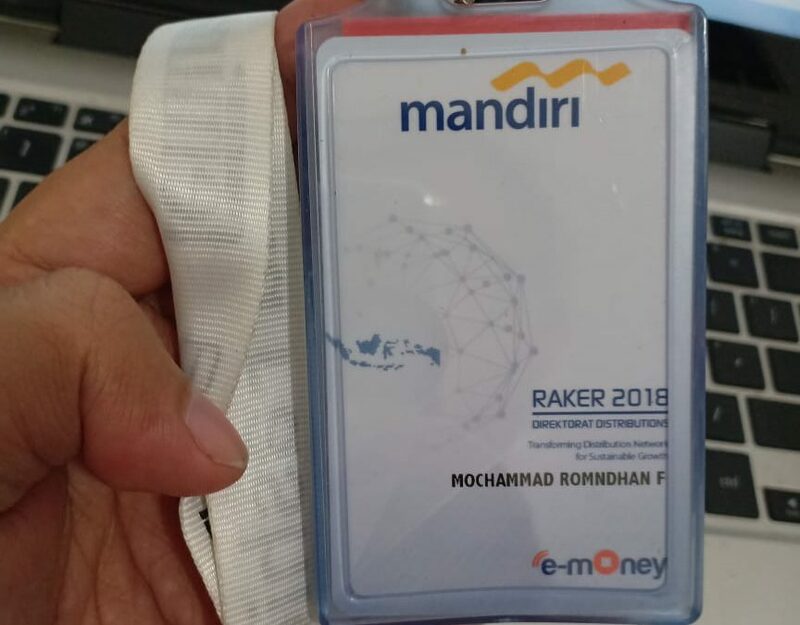 After registration and receipt of the e-money name tag, the attendees are required to tap their name tags on the provided readers as with the photo below. An RFID reader is placed under the LCD. When the reader taps their e-money name tag on the reader, the LCD will display the name and division of the attendee, including their seating area. Here’s a more detailed explanation of what can be seen on the screen. When the ‘attendance machine’ is idle, it displays a simple instruction for the user. 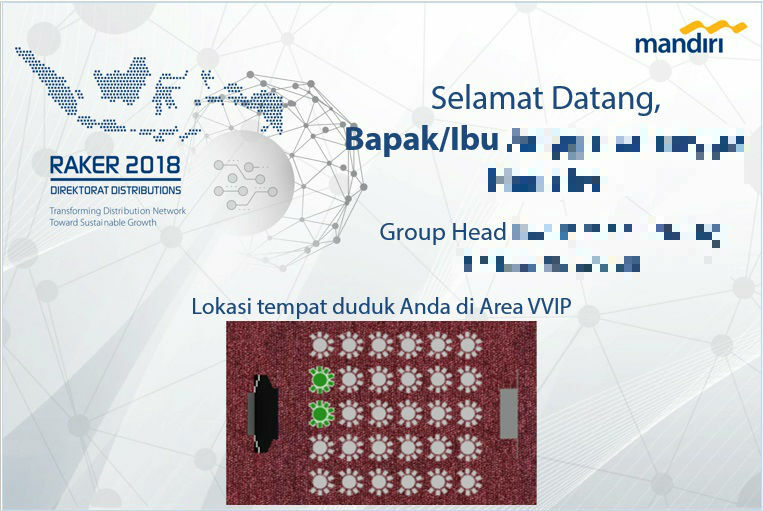 Upon tapping the RFID reader with the e-money name tag, either of these screens will show, depending on the seating area assigned by the commitee. 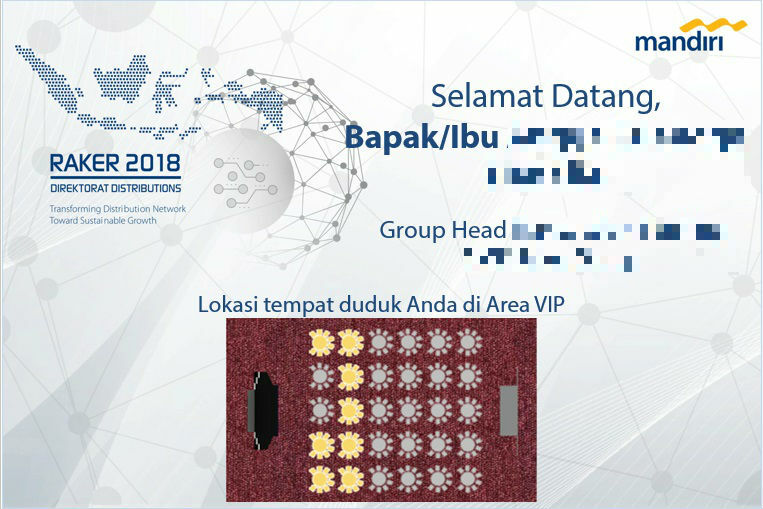 For this event, there were three areas: VVIP, VIP and Area A. Wooz.in also provided the check-in screen content for this function, based on artwork provided by the client.